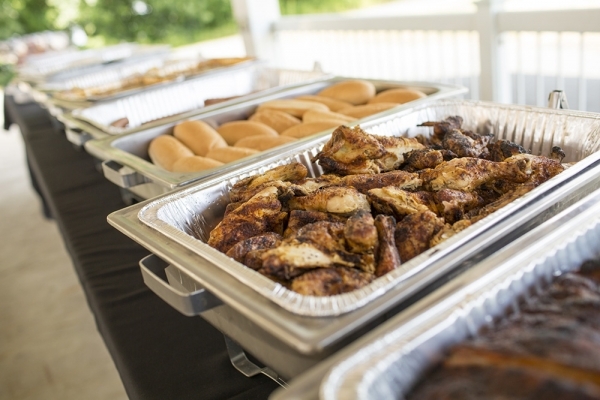 Affordable BBQ Party Catering for All Events in the DMV Area! 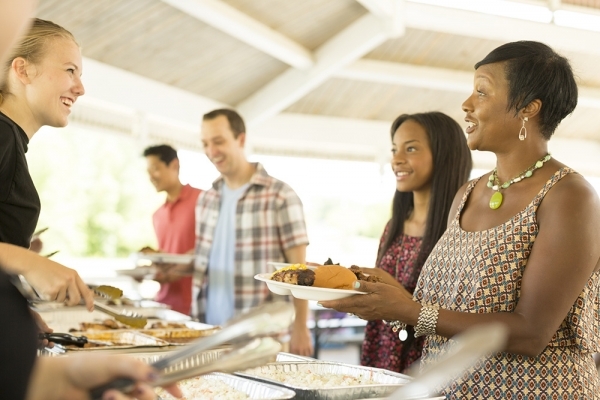 Whenever you attend a party, the first thing you may find yourself remembering years later is the food. A party’s menu makes a huge impression on its guests, so ensuring that the food for your next event is out of this world is a must! 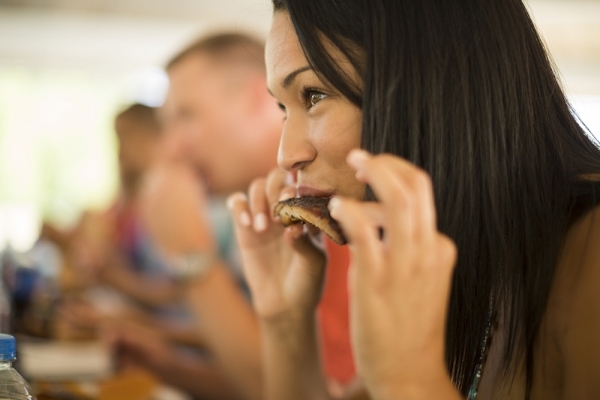 Trust Famous Dave’s DMV to help you plan an amazing menu for your guests. 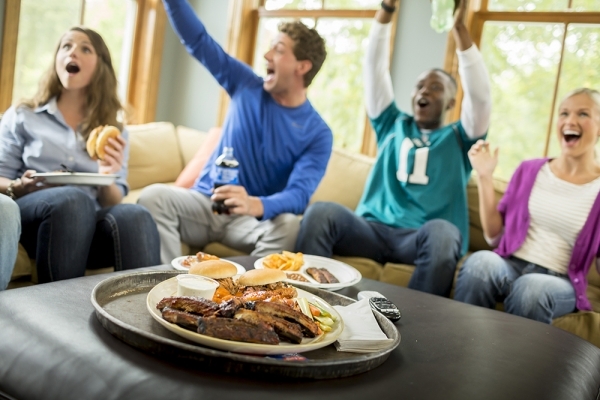 With slow-smoked ribs, juicy brisket, and a variety of scratch-made sides, we’ll make sure your party will be one for the books! 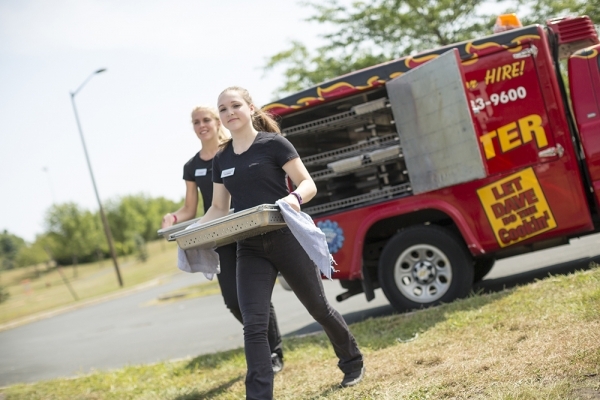 Our Event Catering Services Are Perfect for Indoor and Outdoor Parties! 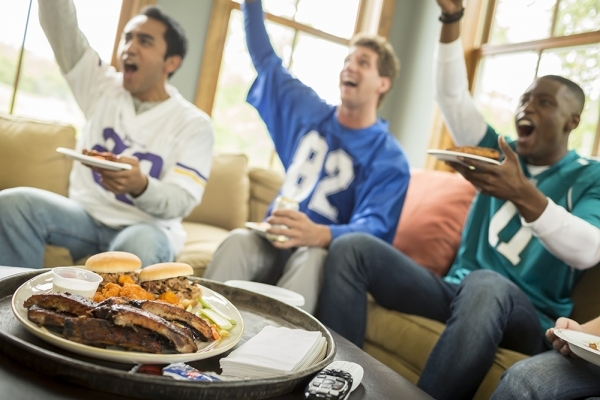 Retirement Parties – Send your retirees off in style with a buffet of ribs, brisket, and roasted chicken! 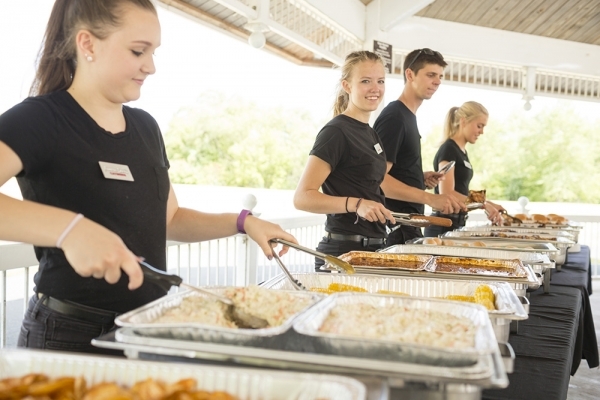 Famous Dave’s DMV party catering team is happy to work with retirement and all other business parties to ensure your guests have a great time with great food! 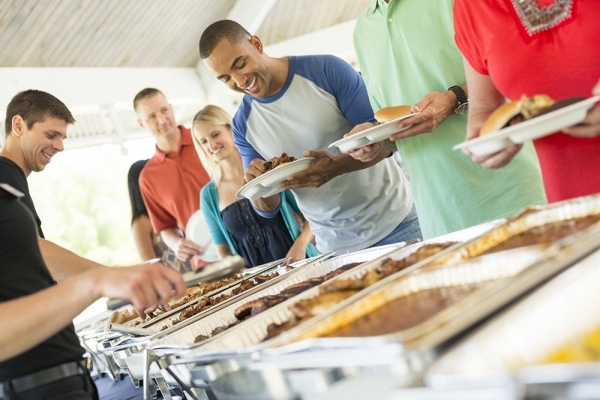 Holiday Parties – No matter if your family is celebrating the Fourth of July, Memorial Day, Labor Day, or even Thanksgiving, nothing gets your party going like slow-smoked barbecue! 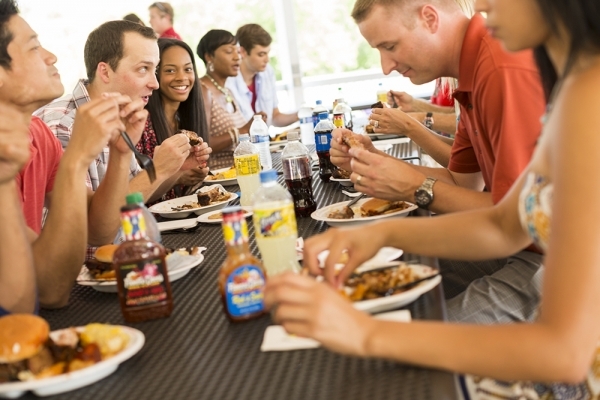 Famous Dave’s DMV caters holiday parties both indoors and outdoors so you can enjoy the time with your guests while we take care of the food! Birthday Parties – Nothing says “birthday” like treating yourself to an awesome dinner! 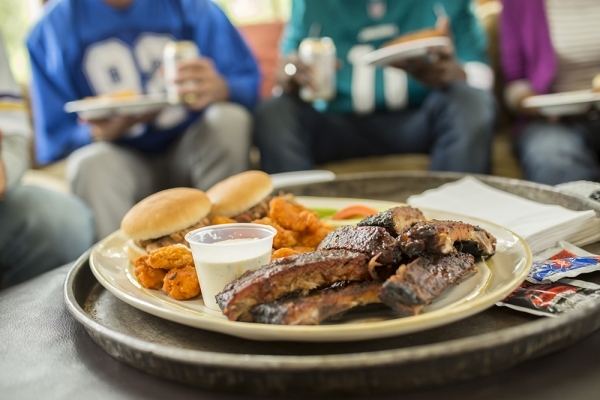 When planning a birthday party for yourself or someone else, trust Famous Dave’s DMV to put together a delicious menu of ribs, chopped pork, brisket, and scratch-made sides! 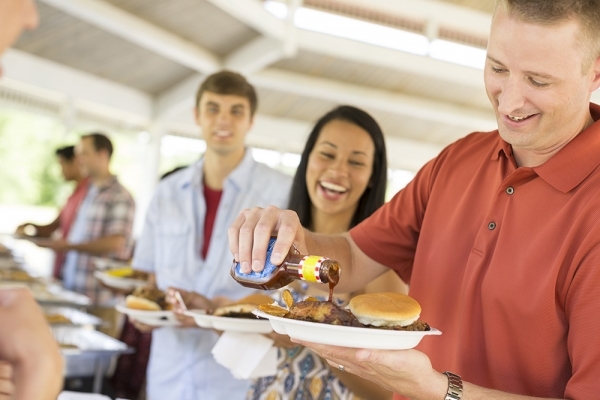 Outdoor Parties and Picnics – Sometimes you don’t need an excuse to hang out with friends or family and eat great BBQ! 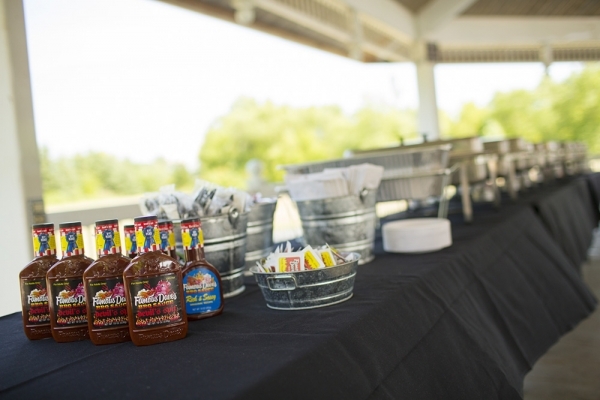 No matter the reason, Famous Dave’s party catering has award-winning BBQ to make the event a success. 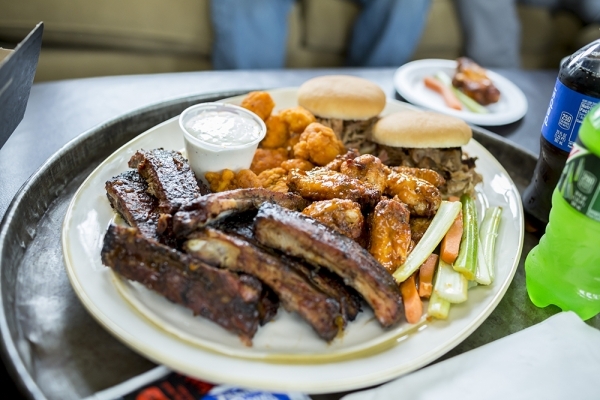 When Your Party Demands Great Food and Exceptional Service, Look No Further Than Famous Dave’s DMV! 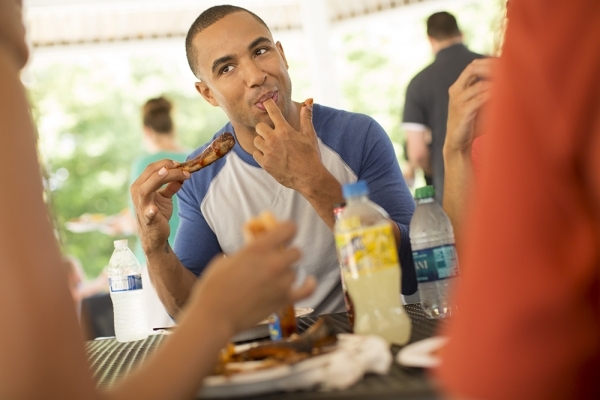 Fresh, Smoked Meats – Famous Dave’s DMV offers the best cuts of meats, trimmed in house and dry rubbed by hand. A lot of our customers don’t even put sauce on them! Try them at your next get together, your guests will thank you! Homemade Sides and Desserts – Whether you choose to enjoy our creamy mac n’ cheese, our Down Home Banana Pudding, or both, your guests are sure to be impressed! We offer an impressive lineup of sides and desserts, just be sure to get enough to share! Order Flexibility – We know that no two parties are the same, so there’s no way to assume how you’ll be getting your food to your venue. 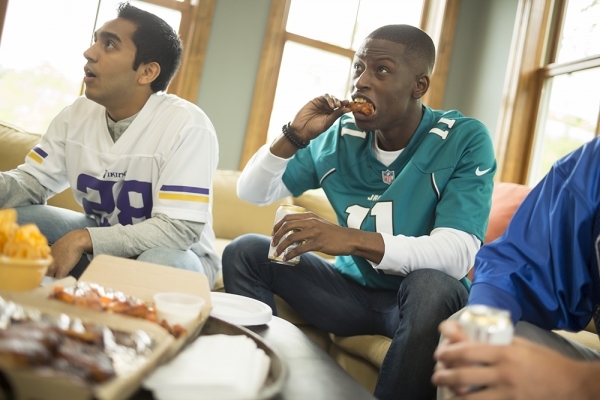 At Famous Dave’s DMV, we offer our customers three options to accommodate your event: pick-up, delivery, or delivery with full-service buffet. Our catering team provides quotes before the day of your party so you’ll be able to know the cost before your food gets there! 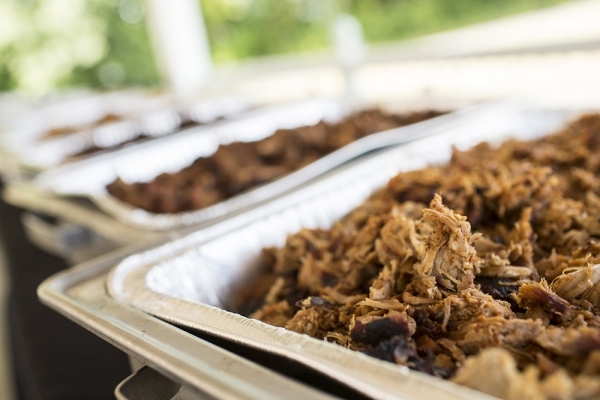 For more information on our amazing BBQ party catering packages, call our Catering Hotline at (855) 783-8646 or Request a Quote today!